Heru (Black Talawah) is an award winning internationally renown African-born Spoken Word Poet, presently based in the Virgin Islands. He is the founder of “Spoken Dub,” a new art form that brings together the continental African spoken word oral trance tradition with the African American Blues tradition along with the Caribbean Roots Reggae tradition. Heru holds a Bachelor’s of Science in the field of Biopsychology from Tufts University in Boston, MA. He also holds a Juris Doctor from Northeastern University School of Law. 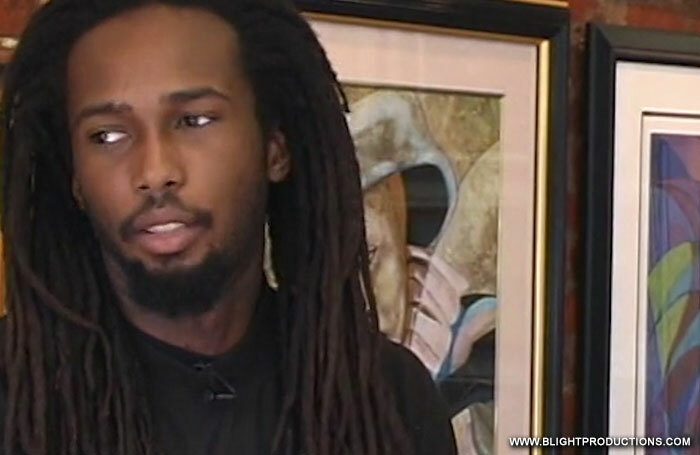 He passed the Florida Bar in 1998 and practiced law until 2001, when he decided to retire and chose a career as a professional Spoken Word Performance Poet. Heru has released 5 critically acclaimed spoken word poetry albums. Volume 1: Mystery School, Volume 2: The Nephew of Nebthet and Volume 3: African Mathematics. Volume 4: Goddess of the Perfect Black and Volume 5: The Epic African Drama. 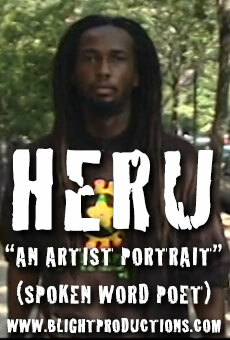 In the field of performance poetry, Heru was named Spoken Word Poet of the Year by The Harambee Radio Network. He has performed, spoken and lectured at countless colleges, universities and festivals in the United States. He has performed his own show at The National Black Theater in Harlem, New York and has performed on the TV cable network called the Black Family Channel. In 2010, Heru was awarded the Washington DC Individual Artist Grant for exceptional artists in the field of performance and poetry. Internationally, Heru has performed extensively in Africa and the Caribbean. Some Caribbean examples include, the Barbados Crop Over Read In Celebration, St. Kitts Emancipation Day Celebration and Jamaica’s A Fi Wi Sinting Celebration. In Africa, Heru was invited to perform in Nigeria at the World Music Festival and Ghana at the world renowned Panafest where he was one of few invited international artists. A complete audio catalogue for Heru can be found on www.movementunes.com, where sustainable music meets sustainable living. Support us at www.patreon.com/blightproductions so we can explore the minds and work of more amazing artists like this!